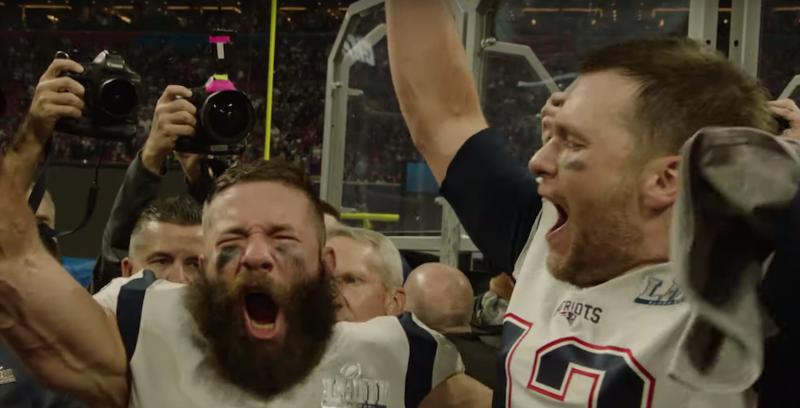 Brady and Edelman are the latest NFL stars to say that iconic phrase as part of Disney’s TV campaign after their Super Bowl victory. Once the two players arrive at Walt Disney World today, they will take part in a celebratory parade in Magic Kingdom park, starting at 2:40 p.m. EST. We suggest heading into Magic Kingdom early if you plan to watch the parade as it heads down Main Street, U.S.A.
Today’s celebration will include popular Disney characters, music, and plenty of confetti, as well as Brady and Edelman having some fun on Walt Disney World’s classic attractions. This is the fifth time that the Patriots have participated in this Disney tradition – no other NFL team has appeared more than four times.